Nigerian Divas ain't smiling lol. 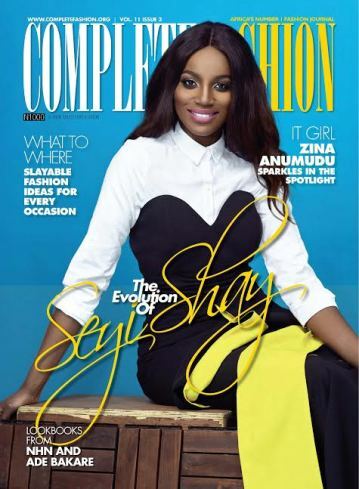 This beautiful talented singer, Seyi Shay(Seyi or Shay lol), our International Super Star is on the cover of this month's Complete Fashion magazine alongside "Falz D' Bhad Guy". Our Airbrush crooner takes a very conservative approach on the Complete Fashion Magazine with a sophisticated look.